We understand that there is no quick fix solution to movement, health & fitness. It often takes a couple of sessions or more to really feel the benefits and make a decision to wether or not a type of exercise is right for you. 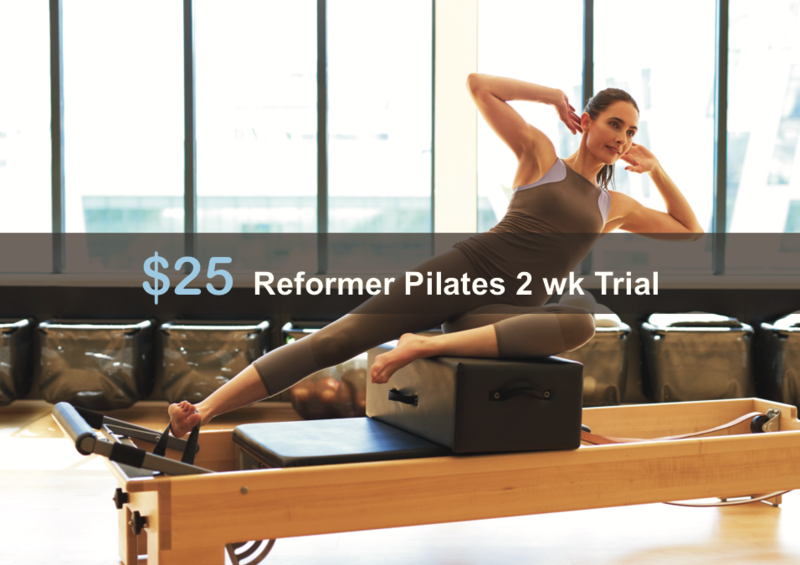 We want you to experience the benefits of Pilates and trial 2 weeks (up to 3 sessions per week) of reformer classes for $25. We strongly encourage you to maximise your attendance in these 2 weeks so you can truly experience this unique mode of exercise. If you find the use of the specialised equipment a little daunting we can even organise a 15minute obligation free pre-session to ensure your safety and introduce you to some basic repertoire. Focus Physio & Pilates. Enabling you to move well and move often.